Chun-yu Liu, a recent MFA Fine Art graduate, has created a video work entitled ‘A complete story: between the strait’ that explores the diaspora which resulted from the Chinese Civil War in the late 1940s. 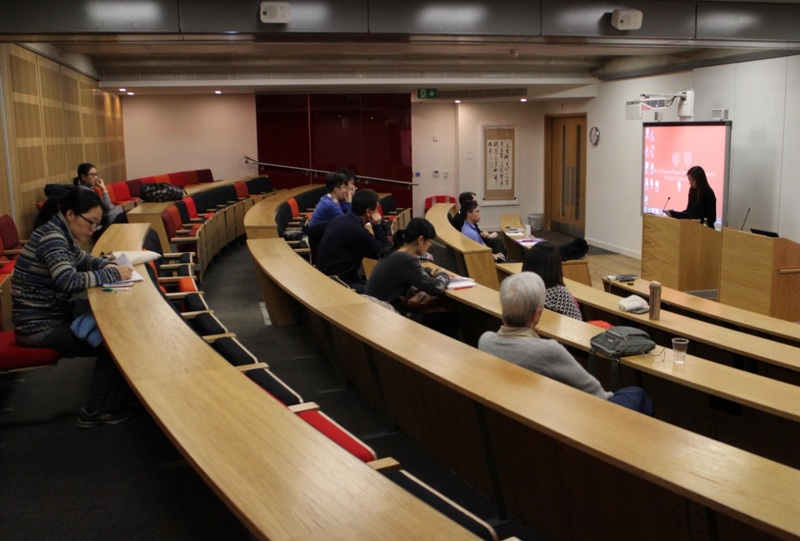 On the back of this work, Chun-yu hosted a special film screening of this piece and another video exploring similar themes, ‘A love story: between the strait’, at the recent International History of East Asia Seminar at the University of Oxford. We spoke to Chun-yu about the seminar, her exploration of the audiovisual medium and how being a migrant influences her artistic practice. How did you end up becoming involved in International History of East Asia Seminar and what was your presentation about? 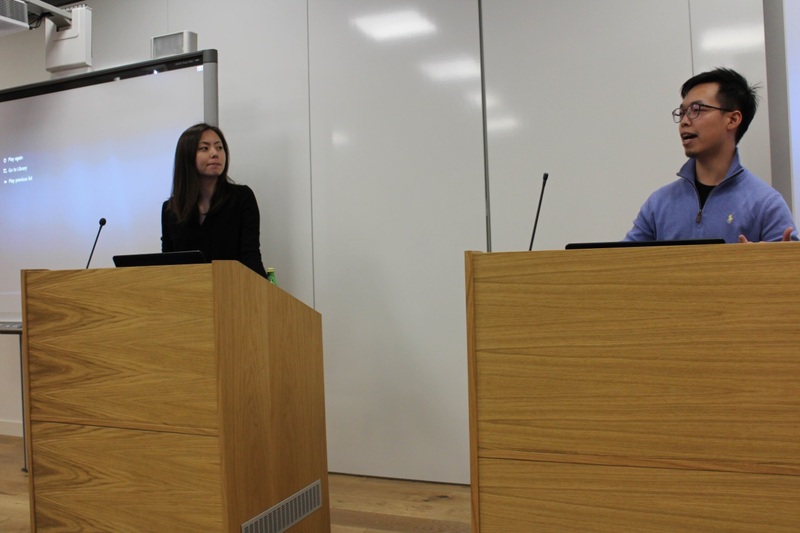 There was an open call for seminar presentations on any aspect of the international history of East Asia, with a particular focus on the 19th and 20th centuries at China Centre, University of Oxford. They welcomed topics that included flow of people and identity, and interdisciplinary approaches with a strong historical focus. These came across as a perfect fit to my ethnic Chinese diaspora project and therefore I proposed to give a presentation The Oral History and Lived Experience of the Chinese Diaspora: Nationalists’ Relocation to Taiwan in 1949, based on my artist videos A love story: between the strait and A complete story: between the strait. The seminar convenors accepted my proposal and to my surprise suggested hosting a special film screening session where both videos were to be screened along with a presentation and 40-minute Q&A. In the presentation, I explained the historical context, methods employed and visual arrangement of the two videos, and most importantly how I combined Chinese Studies and Fine Art in my practice. ‘A complete story: between the strait‘ is a double-channel artist video about the diaspora resulting from the Chinese Civil War that divided the country into China and Taiwan in the late 1940s. The video looks at the ways that oral history shapes understanding, memory and imagination throughout generations. 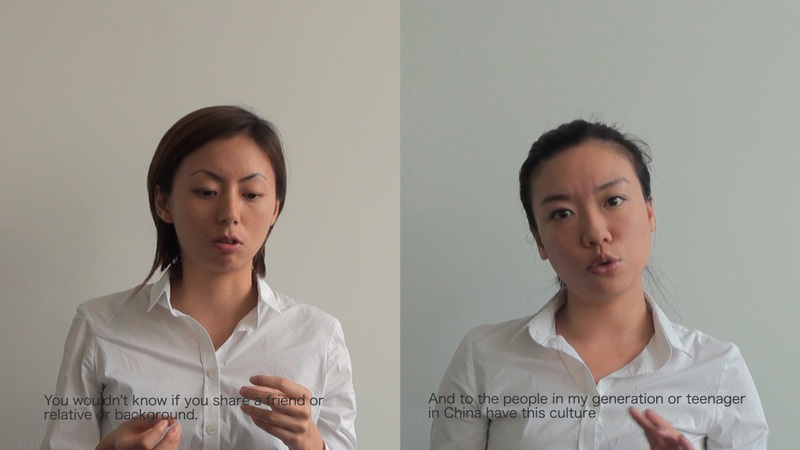 The form and content of the video are in a close tie with each other: the double-channel screen juxtaposes the two simultaneous interviews, one with my interview subject, Xiao and the other with myself, about our personal understanding of the war and diaspora to Taiwan from family oral history. As Xiao’s relatives moved to Taipei, Taiwan from Chongqing, China, and my grandparents from Chongqing, China to Taipei, Taiwan, all during the war, their stories are in a sense one story merely told by two of us, two sides of the strait. The split screen manifests the divisions between Taiwan and China: the geographic strait, the diplomatic travel ban and the political reality. How does your identity as migrant influence your artistic practice? This is an interesting question. Personally speaking, I don’t feel too much solid identity with anywhere. It seems to me that citizenship and location of residence are both fluid and do not necessarily serve to define personal quality. The same goes with origin of ancestry. And yet, I am interested in how individuals respond to their citizenship, location of residence and ancestral origin. I am curious to look into how people define these things and experiences, instead of the other way round. So it’s about agency. 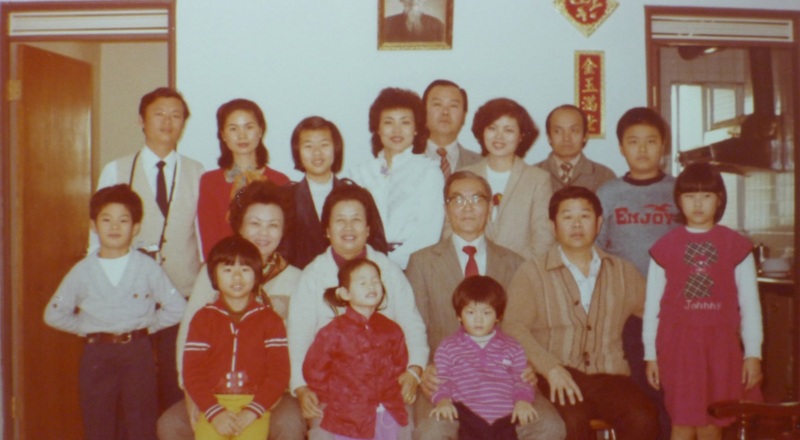 These ideas began to develop as I explored my own family’s diasporic experiences to and from various places that mainly include Taiwan, China, Indonesia and Canada. What I have learned is that the reason for leaving A for B is always complex, and it is not practical to look at individual experience only in the context of collective history. Overall, what my diasporic background influences in my artistic practice is the formation of certain perspectives and approaches to the subject area. These are, in essence, to enquire why individuals leave a homeland and how that forms and shapes their identity. My artistic practice is informed by my reading of Cultural Studies, personal family background and exploration of the audiovisual medium. I employ newly created interviews, existing footage and old family archival photography to document and showcase oral history and lived experience of diasporic individuals. Through looking into oral history and lived experience, I seek to analyse the relationship between personal and national history, historical events and individuals’ lived experiences of them, life as a construction of history, and ultimately how individuals live a life in a time of social and political turbulence. What did you enjoy most about studying the MFA Fine Art at Wimbledon? The freedom to explore, to experiment, to fail, to create something in its own right. It was essential that we had the relatively spacious timeframe of two years to make transformation happen for us in our artistic development. I feel it would be difficult to go through such a meaningful process of change in a one-year MA where you might be obsessed with and oriented towards making but perhaps not too much thinking, absorbing and experimenting. Another element I enjoyed was the structure of the MFA programme. We had modules that in my case led my practice and research to a place where I was confident and knowledgeable enough to carry on doing what I had been doing in the real world when the course came to an end. That was actually exactly what I sought from the course. My purpose of studying the MFA was to have a breakthrough in my practice. Previously, I was an abstract painter and reached a point where I consciously wished to have a practice that would comprise a vibrant relationship of making and research. Looking back, I benefitted from and enjoyed enormously the freedom and structure of the course, and was, therefore, able to embark on developing my own path as an artist. At the moment I have two group exhibitions going on internationally. I am participating in The International Exhibition on Portrait Art at CICA Museum in Gyeonggi-do, South Korea and Closing the Distance at Bundoora Homestead Art Centre in Melbourne, Australia. In June, OverFlow, 23rd Annual Performance Studies International Conference at Kampnagel (International Centre for Finer Arts) in Hamburg, Germany will be screening one of my artist videos. In the summer I will spend some time in my native Taipei, Taiwan. It is very exciting to be back in my culture and city. I am very much looking forward to accessing some family archival materials, such as photography, and immersing myself in coming across individuals’ personal stories. At the moment, I have this vague plan to create a video installation work where I play with the visual and keep the whole piece silent. I want to experiment with the employment of the purely visual as a way of narrative. You can find out more about Chun-yu Liu and her work by visiting her website. Learn more about studying MFA Fine Art at Wimbledon College of Arts.